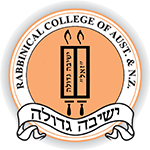 Accreditation - Rabbinical College of Australia and N.Z. Certificate of Registration by the Australian Skills Quality Authority (ASQA). Description of the College's course, as registered with the Australian Skills Quality Authority (ASQA). The College's Code of Practice, in compliance with the provisions contained in the National Code of Practice for Registration Authorities and Providers of Education and Training to Overseas Students 2007 established under the federal Education Services for Overseas Students (ESOS) Act 2000. The College's Complaints and Appeals policy. The College's Privacy of Student Information policy.